We’re glad to announce that Update 1.2 is now available on the new Public Beta branch on Steam! This update also contains support for the long-awaited Steam Achievements. Added support for 23 Steam Achievements; Upgraded to the latest version of the Unreal Development Kit; Smoother character animation blending; Minor AI improvements; Fixed sound issues. We wanted to share the improvements with you sooner than we otherwise could, thus we chose to release this update as a Public Beta. To switch to the Beta branch check out the instructions to access the Beta. We’re very keen to receive your feedback in the new Beta forum on Steam! “Lethe – Episode One” is Released! KoukouStudios and Faber Interactive are proud to announce that after four years of development, our debut title, “Lethe – Episode One” has now been released! The Game is currently available on Steam and through the Humble Widget for Windows PC. There is currently a 10% discount during first week to celebrate its release! Keep in mind that by choosing the latter you have additional options of directly supporting our studio and through that the development of future episodes and games. We plan to expand the amount of stores in the near future to improve availability. An OS X version is planned for later this year. “Lethe – Episode One” was built with the Unreal Development Kit and although we’d love to see a Linux version too, without access to the engine’s source code it is technically impossible right now. Although that could maybe change depending on how well the game will be received. Lethe gets a Release Date! Some of you might have noticed we have updated the descriptions on our pages, because some aspects were too vague and could easily lead to misunderstandings about the nature of the game. We're currently focusing on a PC-only launch, while aiming for an OS X release some time later this year. Currently we split our time between the Closed Beta, the patching of bugs, finalizing content, doing promotion and whatever else shows up along the way. Thus we might not reply to your messages right away. Now that all of the previous is out of the way, we are happy to announce that Lethe - Episode One will be released on Steam for PC on August 1st 2016! In an effort to be more consistent with our updates and to keep you guys up-to-date, we're going to try to be a bit more pro-active with our communications! And now we are ready to share with you something new and exciting! 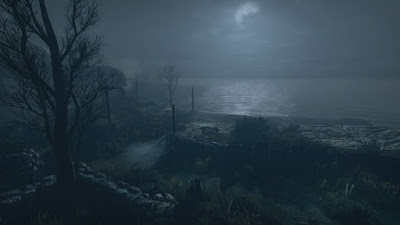 As part of our ongoing development as a studio we're happy to announce that Lethe - Episode One will be published by none other than Faber Interactive, a company founded by KoukouStudios co-founder and developer Rick Faber. This decision solidifies our current position and commitment as an independent developer and means that nothing will actually change for the game and the team behind it. Since the game has been in development for about four years now, things have been updated. This is why we have recently uploaded some new screenshots to our website (and our previous post). And what could be a better way to show you our progress than to share with you our new Trailer! There was this particular morning last week... Like every other morning, after preparing an enormous cup of coffee we booted up our computers with tired eyes, barely open from previous night's work. We went to check our daily tasks list like we used to do every day for the past four years. It took us a while staring at the lists, but we finally realized that Lethe was practically ready for some serious Beta testing! We just couldn't believe it. Could it really be true after all that we've been through? As I'm writing this, Lethe is being played on Steam by a few lucky people from outside the Studio. It has now been a week since we officially launched the Closed Beta and so far we're more than satisfied hearing people's first reactions! It seems like the time and effort we've invested in this project and the countless sacrifices are starting to pay back. So, when will we announce a release date you might ask?